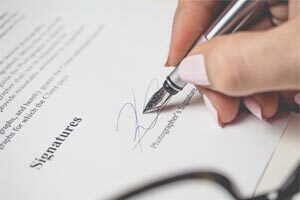 When it comes to a contract or other legal document, it is just as important that a translator cross their T's and dot their I's as it is for the original drafter. Courts at home and abroad have and will reject contracts on the grounds of a mistranslation, which can cost you and your clients the time and expense of getting it retranslated, or in a lawsuit, the case itself. At Translation Services USA, we pride ourselves in finding the right translators for your important projects. If you order legal contract translation from us, we don't just assign your project on a first-come, first-serve basis; we search our database of experienced, professional, human translators for a translator not only with previous experience in the legal field, but who also natively speaks the target language and, when necessary for international contracts and lawsuits, lives in the country where the contract is in question. Because terminology and laws themselves vary so greatly from country to country, it is imperative that the translator for your legal contract is aware of these differences and can interpret them in language that is acceptable in a court of law. Additionally, we provide certified translation services, where the translator signs an affadavit, which is then notarized, affirming the quality and accuracty of the translation they have provided. This often required by many courts and governments (local, federal, and international) when dealing with multiple languages, but also provides peace of mind to you and your clients, who can be assured that all the text is accurately conveyed and comprehensible by all parties. If you have a legal contract you need translated, or simply have questions about translation for legal contracts, contact us today and we'll be happy to help!